das Blog: Wot? No Nuts?! 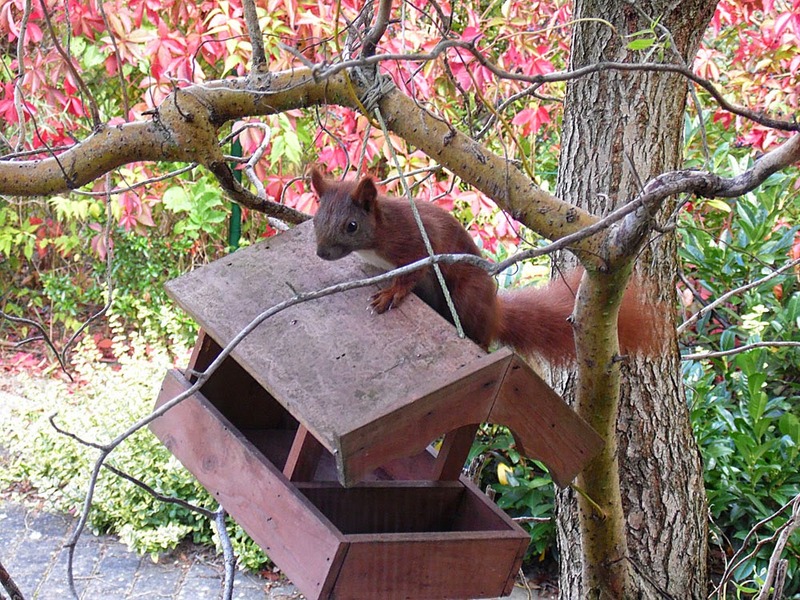 Today a cute red squirrel appeared at the bird-feeder, looking in through our living-room window. He looked reproachfully at us, as if to say 'where's the nuts?'. 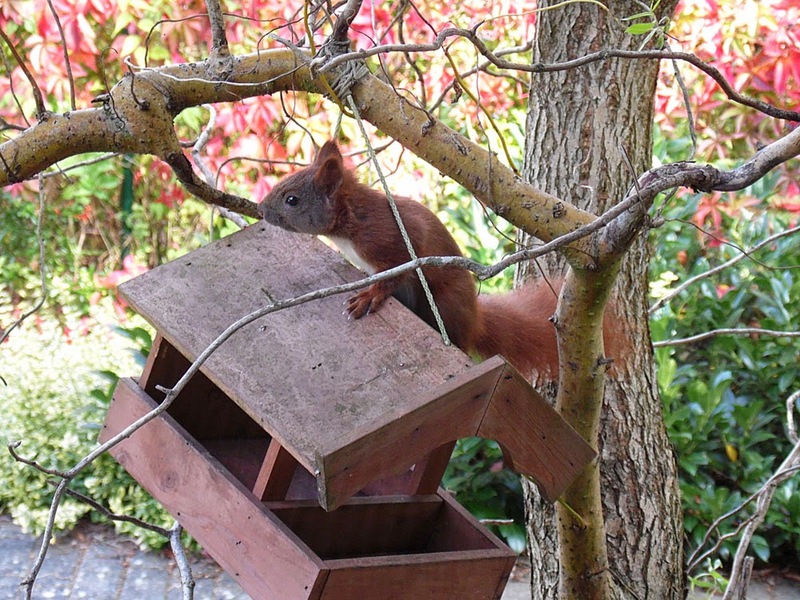 I wonder if it is the same one that visited the bird-table in Spring last year? It is sad that Cassie isn't here any more to watch him. She would have been so excited at seeing the cheeky red-coated chappy. There is a myth that Germans can't pronounce the word 'squirrel', and even that during WWII Policeman and the Home Guard were instructed to test suspected German spies by asking them to pronounce the word. I don't know about the veracity of this, but the test is reciprocal: can English speakers correctly pronounce the German word for squirrel das Eichhörnchen ? It is quite a tongue-twister! Our squirrel is simply lovely. And I think I had better get me to the supermarket and buy him some nuts asap! p.s. love the 'wilder Wein' in the background; that reminds me of a Rammstein song!